This would be perfect for both my husband and my kindergartner . . .
Danetta of Go YAY! 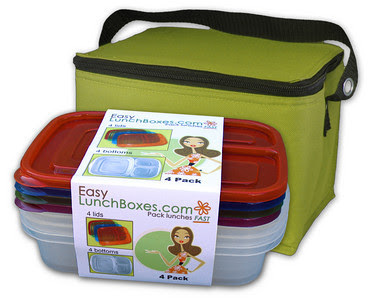 is giving away this lunchbox system from EasyLunchBoxes.com . Winner gets to choose the color. There are lots of opportunities for extra entries. This giveaway is open to both U.S. and Canadian residents and ends on April 21st, 2010.